Thanks to the Marvel Method --- in which comics were produced by artists without a script and dialogue added by the writer --- there are a lot of debates about just how much of the writing Kirby is responsible for on the many books he created with Stan Lee, which form the cornerstones of the Marvel Universe. I've only included one of those stories; since this is exclusively a Jack Kirby list I didn't want it to get too heavy with Stan Lee's work. But if you're looking for more along those lines, The Mangog story from The Mighty Thor #154-157 and "This Man, This Monster" from Fantastic Four #51 are both great candidates. For that matter, you can just read Fantastic Four from about #44 to around #67 to see them in their prime as collaborators. But for this list, I mainly focused on those stories where Kirby was the credited writer. And to be sure, I couldn't include everything. 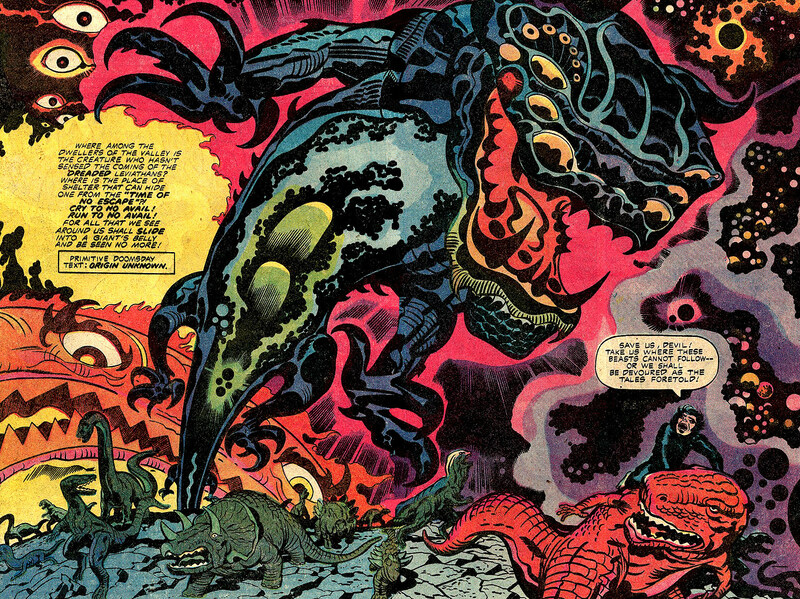 I personally love Devil Dinosaur a lot, but while that double page spread from issue four might be one of Kirby's greatest single images, the writing just isn't as strong as his other books. And similarly, The Eternals feels really important, mostly for introducing the Celestials, but the story doesn't hold a candle to stuff like New Gods. So without any further disclaimers, these are the ten Jack Kirby stories you absolutely need to read.